We strive to create a team environment in which people desire to do their best. Each individual’s work is important. Emphasis is placed on honoring the ideas and input of all team members, regardless of their position within the organization. Many decisions are not handed down from upper management, but formulated, evaluated, and implemented at the community/corporate level. We can do anything through collaboration. To ensure excellent quality of professionalism and respect for owners, residents, and most of all for each other. It is our job and pleasure to professionally represent the investors as well as prospective and current residents. The professionalism we display today will directly affect our reputation in the market place. 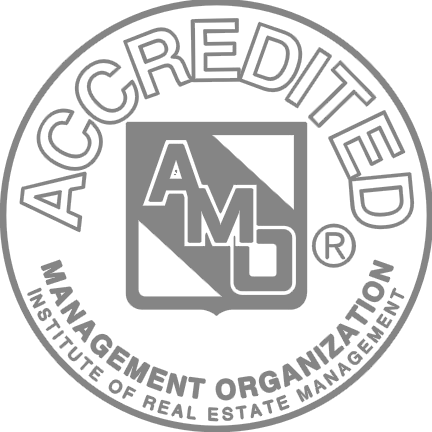 To have the courage to do the “right” thing organizationally as well as individually. As owners, managers, and team members, we serve our residents, potential residents, and investors with the utmost integrity, honesty, and respect. We provide value and service that exceed their expectations. Our philosophy on customer service is simple. The customer always comes first. 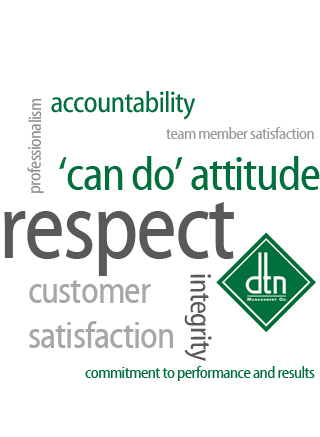 We expect and feel confident that all DTN team members understand, practice, and live these values. The customer, investor, and owner are never an interruption to our day. They are the purpose for which we are here. They deserve the most courteous attention possible. Our reward is satisfied customers, higher occupancy, profitability, but most of all, an exceptional reputation in the market. We are dedicated to maximizing real estate asset value. The key to success of any organization is its people factor. Our management philosophy is to hire the right people, invest in training them, and at the same time, enhancing the bottom line. We set goals that are based on the objectives established by the client/investor/owner. At the core of accountability is reliability and personal responsibility - therefore we value the ability of our team members and organization to honor our commitments. We take ownership for our work and make what is wrong right to the greatest extent possible. DTN consistently evaluates performance so that we can ensure and maintain the highest customer service standards. It has become best practice for all members within the organization to ask themselves: “What else can be done to rise above the circumstances and achieve the desired results?” We build trust with our customers by delivering on our promises.